The Agleader DirectCommand system and the New ISO liquid control modules are the leaders for application rate and auto swath control for sprayers. The DirectCommand system is compatible with most crop sprayers old and new. The new ISO modules bring the best of the Agleader DirectCommand system and the compatibility of ISO. Many more sections can be switched, Pressure, flow or flow control with pressure backup can be set to cover all makes and models of sprayer. There’s a preset of different ISO nozzles to choose from and can be modified for different make and type, VRA liquid fertiliser isn’t a problem simply load up the prescription file from USB or AgFiniti no unlocks needed. 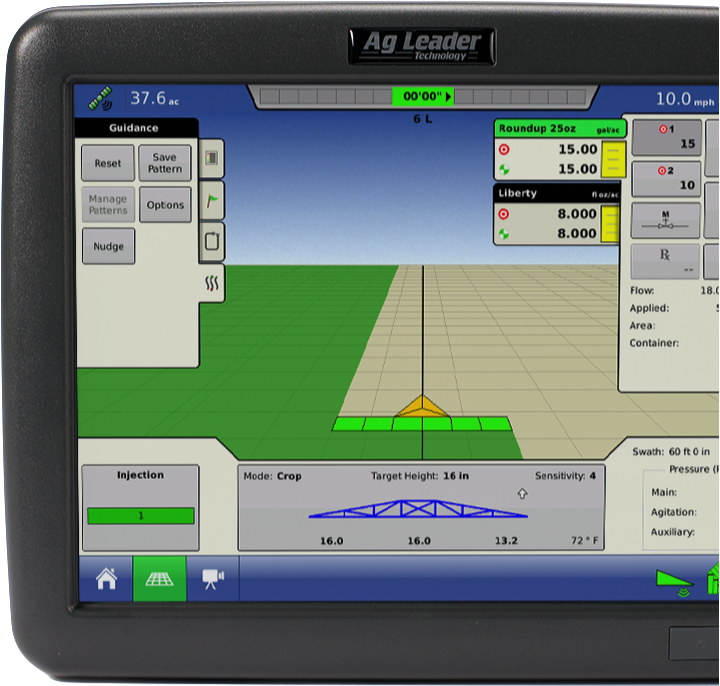 Installing Agleader ISO on to a trailed sprayer gives you “plug & play” with existing compatible ISO displays, Agleader display on one tractor but still have the ability to connect up to another manufacturers VT or Task Controller. Precise Solutions offer a one stop solution for all makes models and accuracies. From hardware to F1RTK and F1DGPS correction solutions covering most of the UK mainland.